Content Management System is an application that manages the content on a website it’s also called CMS Applications. It provides capabilities for multiple users to manage information on a website. It is easy to update and no technical expertise is required. The all important factor of having a Content Management System, is that all interaction is managed and tracked through security, audits and workflow trails, which is tracked and stored in a database, making it an easy task to track all activities. There are several CMS platforms such as Joomla, Drupal, WordPress and Expression Engine. Choosing the right platform depends on the simplicity or complexity of feature requirements for the website. However, WordPress, Joomla and Drupal are considered the three main ones. 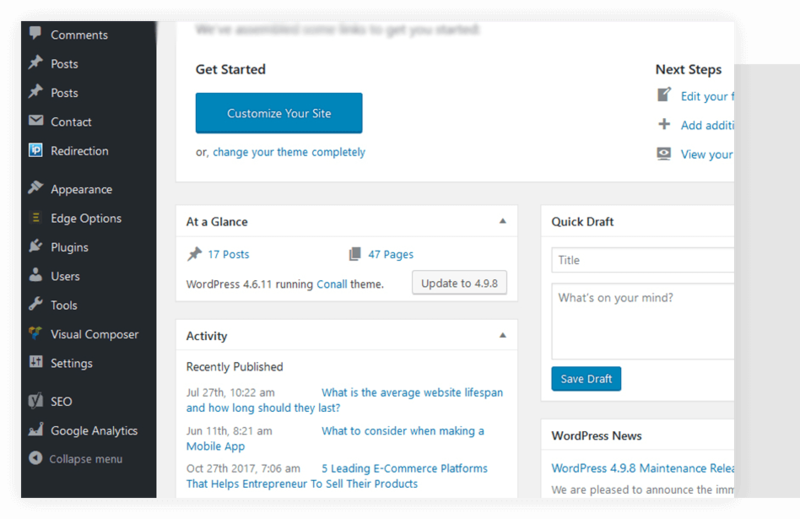 WordPress is a simple CMS development system, is easy to use and does not require any technical or programming skills. Joomla does require some technical knowledge. Is great for eCommerce sites. Drupal is considered the most powerful CMS, but is also the most difficult. All these CMS platforms can be integrated into a web design and allows customers to edit their websites by themselves and without any difficulty. Ready-made CMS systems are generally used for standard functionality websites. However, if there are more complex features a custom CMS development system is recommended. 4Life Innovations web developers have the expertise and experience to advise you on the best Content Management System that should be integrated into your new or existing website. Contact us today!